Andreas Pereira thinks his loan stint at Granada has prepared him to be at Manchester United next season. Pereira has been enjoying an impressive time in Spain since joining from Manchester United on loan back in the summer. The highly talented playmaker has notched four goals from 24 appearances for the relegation-stricken team so far this term. His chances of a bright future at Old Trafford have been boosted following his consistent displays in La Liga. The 21-year-old admitted last month he has been in regular contract with Jose Mourinho eyeing a summer return. The Brazilian youngster made 11 appearances under Louis van Gaal in 2015/16 campaign, but after speaking with Jose Mourinho in the summer decided to spend the current campaign on loan to gain more experience. 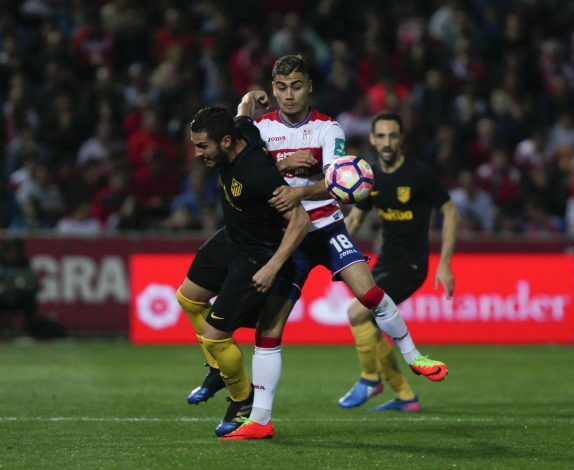 And Pereira has now revealed how the loan spell at Granada is making him ready for a crack at the United first team next season. “I couldn’t defend at all. Now I’m a lot better. It’s a mental process and I would never have had this in Manchester.